The world is in big trouble. Innocent countries around the world are under attacks by LOONEY INVADERS. 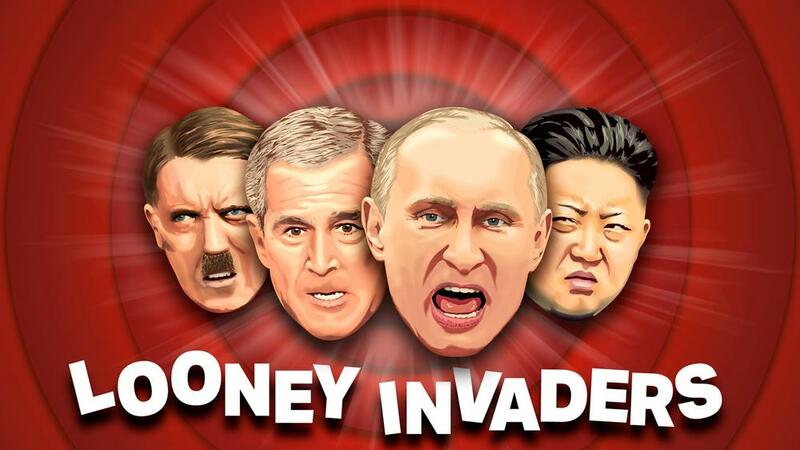 Your mission is to save the countries and defeat LOONEY INVADERS one by one to secure world peace. The mission will be tough, no question about it, but you have perfect weaponry for the duty. Follow your progress in LOONEY INVADERS' global scoreboard while defending the invaders and unlocking 3D printable rewards. To make competition about rankings in global leaderboards even more exciting, top seeded players are rewarded on monthly bases with SILVER BARS (purity 99.9%) weighting 250 and 1000 grams. Can you believe that?!? Moreover, reaching to top 3 position in day, week and month category in any given time is automatically rewarded generously with game credits. LOONEY INVADERS is packed full of unique features to improve and intensify the gameplay and take your experience to the max. You can for example select between two completely different high-quality worlds of music & sound, both carrying you seamlessly through the whole game. You can also switch between two completely different types of battleground themes, both amazingly detailed graphics are spiced up with hidden fact-based details. Can you discover them all?